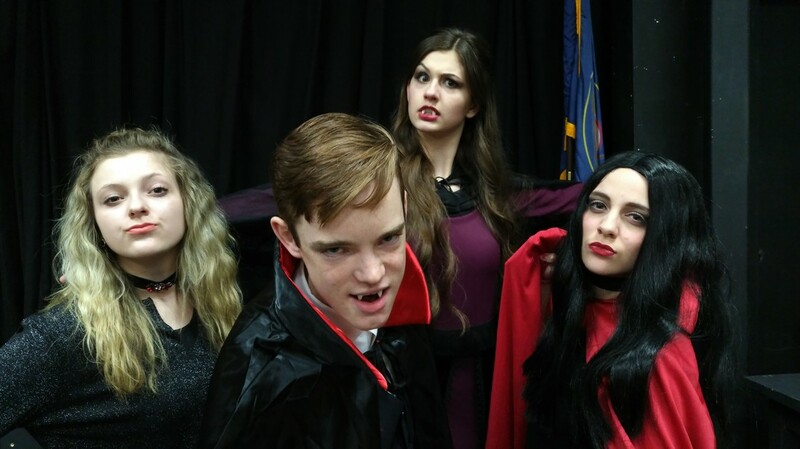 The One-Line: A vampire is on trial for murder and the audience must decide between the verdict of guilty or not looking discriminatory against the vampire culture. Setting: A Courtroom. There is a place for 12 jury members who will be selected from the audience. They could be on stage or in the front row(s) of the audience seating. Synopsis: The vampire, Count Orlock, is on trial for murder. But hey, that’s what vampires do! The jury, a panel of audience members, must decide if the Count is guilty or not guilty. But what is more important, the truth and facts of the case or the fear of being seen as prejudiced against the vampire culture? Vampires Are Our Friends leaves the answer to this question up to the audience, even if it means their complete destruction. To the prosecution, he is a ruthless vicious murderer with a violent history. To the defense, he is a poor misunderstood victim of society with a history of persecution. To the court, he is someone who could taint its established political reputation. What will Count Orlock be to you? On the surface, Vampires Are Our Friends is a sidesplitting comedy with quirky and fun to play characters. On a deeper level, it is the embodiment of human weakness to choose reputation over truth.